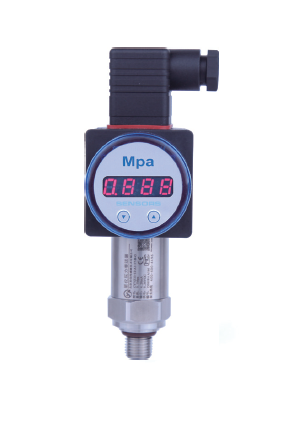 The Z13 series pressure transmitter uses advanced piezo-resistance pressure sensor and stainless steel diaphragm isolator as signal measurement components, uses laser trimming resistance technology to process the zero compensation and sensitivity temperature compensation, to make it as a high performance device. It is anti-interference, high overloading, high anti-impact, small temperature drift, high stability and high precision. The Z11 is an ideal pressure measurement device in many industrial automation area. The pressure sensor converts the mechanical pressure value into a proportional electrical signal. The pressure sensor typically consists of a stable main body and a (thin) diaphragm. The diaphragm is the most important element for the measurement of the pressure and is equipped with strain-sensitive and compression-sensitive resistance structures, so-called strain gauges (DMS). The diaphragm is deflected under the influence of pressure. Thus, the strain gauges attached to it are elongated or compressed and its electrical resistance changes. This change in resistance is directly proportional to the pressure. For example, if the resistors are wired to a Wheatstone measuring bridge, the resulting electrical signal can be measured and transferred to an indicator.